IDF retaliates after spillover from Syrian civil war strikes Golan Heights. 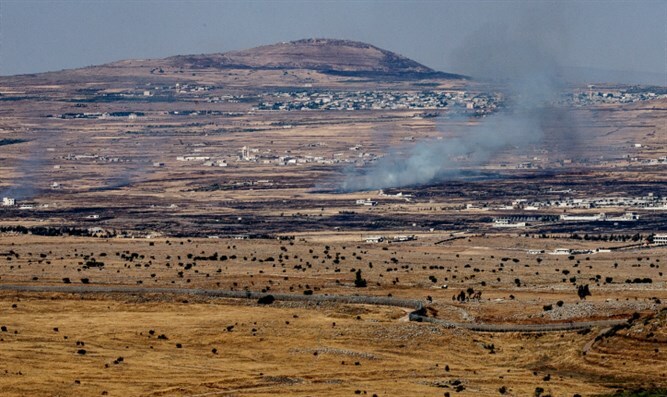 A mortar shell fired from Syria landed in the Golan Heights Monday. In response, the IDF attacked the position from which the mortar was fired. The IDF stated: "The IDF views the Syrian regime as responsible for everything in its territory and will not tolerate any attempt to harm the sovereignty of the State of Israel and the security of its residents." Prime Minister Binyamin Netanyahu has stated that Israel will not tolerate any spillover from the Syrian Civil War into Israel.